Tartini Plaza Apartment MP2 is where you need to be if you love being within close range to most attractions. Live in the heart of Piran and take a closer look at the livelihood of the native folks. The property is just 100m away from the Tartini Square and the St.George’s Parish Church. The apartment is fully furnished and comes with an efficient kitchenette facing a dining area. The grocery shops are less than 100m away from the property whereas there are several bars and restaurants just 2 minutes away from the property. Koper Sea is 400m away from the apartment while other attractions such as the Fiesa Lake and the Portoroz Thermal Spa are 1.1Km and 2.2KM away respectively. 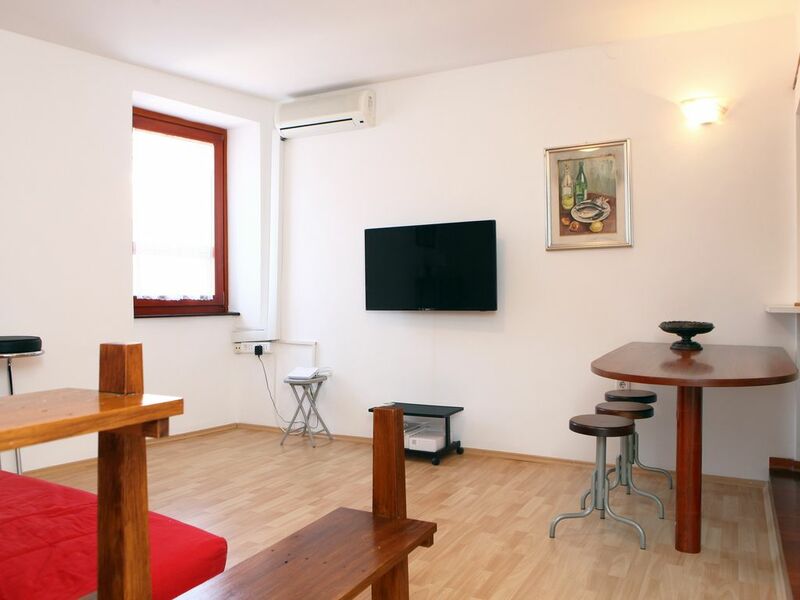 Tartini Plaza apartment MP2 is truly the best place to stay if you are more of an explorer. The apartment can also arrange for a bicycle rental service. Airport shuttle services can be availed at an extra cost. Guests enjoy free WiFi at the property!